Maggie, a lymphoma survivor, Berkeley graduate and friend of Casey's, was our sponsored camper this year. She was one of twelve young adults who spent ten days camping in Yellowstone National Park. In an email Maggie sent to Rosemary before camp she said, "... In the short week that I knew Casey I learned more from her than I have from some friends I've known for years. ...She had a fire and intensity to her that was incredibly inspiring and beautiful. Even after her passing Casey continues to influence my life.... I will cherish our chats and laughs together forever." 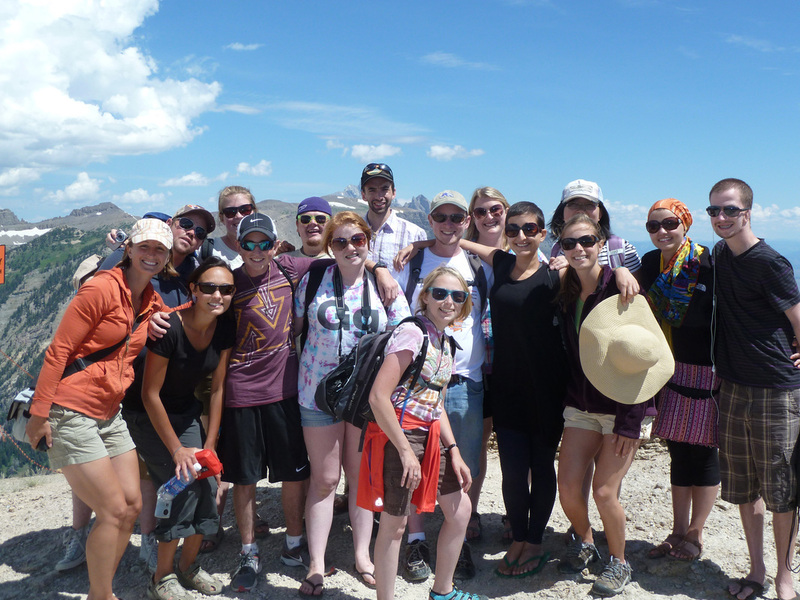 Yellowstone National Park was the destination this year for the Young Adult retreat. Each night the group camped in a different location, sleeping in tents or under the stars.They also managed to fit in white water rafting, zip lining, and a talent show! Many meals are hosted by community organizations or individuals. At the conclusion of the week it has become a tradition for Bob and Rosemary Beaupre to host a dinner in Big Sky at Buck's T4 where the campers order everything from bisson to giant hot fudge sundaes.